With 15 years of Pine Island homes and land experience and more than 700 Pine Island real estate closings, we can sell your Pine Island home for the highest price with minimal worry and aggravation. With more than 4000 potential Pine Island home buyers on our databases, our e-mail campaigns are a great help in finding the right buyer for your home. Our monthly Pine Island Real Estate E-News goes out to more than 3500 subscribers. We get many inquires and requests for information from these e-mail campaigns. If you would like to subscribe just click here. Our highly successful national website featuring Pine Island Homes and Lands. We can sell your Pine Island home if we can attract serious buyers. The website attracts hundreds of Pine Island home shoppers every month. Advertising Dollars That Truly Get Results. 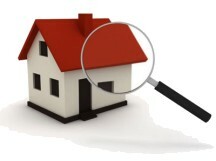 We get your home the exposure we need to sell your Pine Island home. Click image to see more of our Web Partners. The Multiple Listing System, if used properly is a major source for potential Pine Island home buyers and for Florida agents who have buyers. 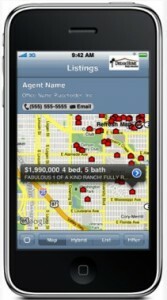 We make all efforts to create an awesome listing presentation on the MLS system. We strive to give buyers data, adequate information and an abundant number of high quality photos. We utilize an array resources to sell your Pine Island home to a happy new owner. We will schedule regular meetings with you to discuss your listings’ progress and how your listing may be comparing to other offerings on the market. We will discuss how we might adjust our marketing strategy, the property and its’ presentation. Our goal is to keep you informed and armed with enough information to make the best choices. We hold regular office meetings to discuss how we might better represent your listing and find the ultimate buyer in the shortest time possible. You will be supplied with reports on new listings like yours entering the market as well as any local Pine Island homes similar to yours going under contract or being sold. We know that if we market effectively and price your property correctly your home will be sold in a reasonable amount of time at the highest price possible. Is a matter of communication, cooperation and the sharing of accurate information and ideas. It takes many cooperating professionals and the use of the best marketing systems possible. So This Is Why We Have The Privilege To Say…..
Dream Home Associates…. No One Does More To Sell Your Pine Island Home.